From Mediaite: In a twist, the San Diego Mayor accused of sexually harassing several women is now blaming the city of San Diego for his faults. 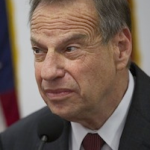 Mediaite explains, “Arguing that the city of San Diego is legally culpable for Mayor Bob Filner‘s behavior because they did not provide him with the required sexual harassment training, Filner’s attorney challenged the Southern California city to defend his client against the charges. ‘Many—if not most—people do not know what is and what is not illegal sexual harassment under California law,’ argued Harvey Berger, Filner’s attorney, in a latter to San Diego City Attorney Jan Goldsmith.” Read the story here. From Gossip Cop: Justin Bieber is making headlines for not-so-great reasons again. Gossip Cop reports, “Lil Twist has reportedly been accused of battery by a woman who claims the rapper got physical with her at Justin Bieber’s Calabasas mansion.The woman told police she was hanging out at at Casa Bieber (who was NOT home at the time) around 3:30 a.m. on Thursday morning when she decided to leave the party. She alleges that Lil Twist grabbed her arm forcefully in an attempt to prevent her from exiting the house. The woman drove directly to the L.A. Sheriff’s Department to report the incident, according to TMZ. Cops are currently investigating the battery claims against Lil Twist. Just last month, the rapper was arrested for a DUIwhile driving Bieber’s Fisker Karma. Gossip Cop has reached out to a rep for Lil Twist on the allegations.” Stay tuned for updates here. 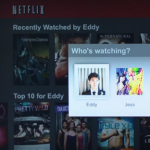 From Geekosystem: A change to Netflix today! Geekosystem writes, “No longer will Netflix freak out over the combination of one person’s love for tearful documentaries, another’s preference for old westerns, and a third’s occasional indulgence of campy sci-fi, and assume the user wants a tearful space-based western from 1967: Each shared Netflix account can now have up to five individual user profiles for free.Maybe it says something about me that the most exciting thing in my week is getting tailor-made recommendations to improve my television-watching experience, but since an announcement was made mid-June, I have been eagerly awaiting the absence of subtitled crime dramas and heartwarming romantic movies featuring a strong female lead cluttering up the homepage. While the new service is being started today, the profiles will be coming to all accounts over the next several weeks.” Read the story here. From Styleite: Today, Styleite shares your new best friend in the form of cropped jeans. Writes the site, “Vogue.com is a fount of very useful information — where else would we go to find out how to plan lavish weddings at our boarding school friends’ castles? It really surprised us then to see something as pedestrian as a styling guide for cropped jeans on our go-to lifestyle site, but as with everything Vogue does, it told us exactly how we could better ourselves: by wearing cropped jeans like these by Citizens of Humanity. These trousers have the right ankle-flaunting 24-inch inseam and narrow leg opening (to balance out the mannish shirt you must wear them with). And not that Anna would care, but these slouchy straight-legs are currently down to $99.” Read more and see pics of the pants here. From SportsGrid: Most people hope to make money off their real estate investments, but not this NBA player: SportsGrid explains, “Jermaine O’Neal recently signed a one-year, $2 million deal with the Golden State Warriors, which means he needs to move from the southwest to northern California in a hurry. The 17-year-veteran has a mansion in Las Vegas that he’d like to sell you — for $550,000 less than what he paid for it back in 2007. So what will you get for $2,999,999? Just six bedrooms and nine bathrooms spread out over 7,500 square feet, plus an in-house movie theater, wet bar, pool with waterfall, outdoor kitchen, five-car garage and other ridiculous amenities that only a basketball player would have (i.e., basketball court).” Read the story and see pictures of the house here. From The Mary Sue: Your go-to source on S.H.I.E.L.D. news, The Mary Sue, has some updates for you today: “More news from the Agents of SHIELD front: we’ve got a mysterious new cast member. Who is this guy playing? And which Firefly veteran is making waves in the nerdoverse with rumors of their involvement? Beware spoilers, under the cut! 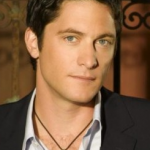 David Conrad(Ghost Whisperer) is joining the AoS cast, but who is he playing? The only information we’ve gotten thus far is that he’ll be a “brilliant and quirky scientist” and a recurring character. Outside of that, we might just have to wait until the show premiers to truly know his part. Some other pertinent casting news has surfaced, however: there is a Firefly veteran joiningSHIELD‘s cast! Who is it?” Read on here. 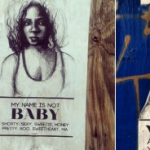 From The Jane Dough: A new project is taking on the street harassment that women face daily: The Jane Dough explains, “‘Hey baby, what’s wrong? Smile for me!’ You’ve heard it all the time, maybe even on your way to work this morning. It might have come from your significant other as he kissed you on the cheek and handed you your morning coffee, but chances are it came from a creepy stranger on the street. Maybe you weren’t smiling because you have Bitchy Resting Face, or maybe it’s because, you know, you’re doing your own thing on your way to work and don’t owe it to a random man to fit his ideal of femininity by acting perky and bubbly at all times. Most women tend to respond to this unwanted attention by simply ignoring the street harassers — but Tatyana Fazlalizadeh, a Brooklyn based artist, decided to take her resistance to the streets. Her project, “Stop Telling Women to Smile,” places portraits of real, defiant women in the very places where strangers have hounded her.” Read about it here. From The Braiser: Have some money burning a hole in your pocket? 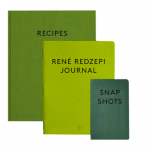 The Braiser lets you know how to spend it: “Rene Redzepi’s coming out with not one, not two, but three books at once, and you can preorder them on Amazon starting today! A Work in Progress, the followup to his first cookbook Noma, contains recipes as well as a diary of his everyday life (even written out on notebook paper), and “a pocket book of candid, Instagram-style snapshots featuring the influential chef and his team.” So, to be clear, Instagram made Polaroids high-tech, and Redzepi has made Instagram throwback. The triad will be released on November 11 of this year, but for a paltry $39.74 you can order one now and forget about it until it randomly appears on your doorstep around Thanksgiving.” Find out why you should purchase it here.